Young bunny Judy Hopps dreams of being a police officer in the city of Zootopia. Many years later, Judy's hard work paid off, but she finds that being Zootopia's first bunny cop has challenges she didn't expect. She joins forces with fox Nick Wilde, a shifty con man who is not all that happy to be helping with a missing mammals case. 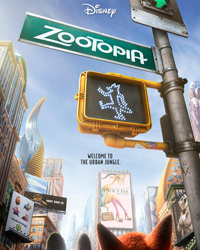 How well do you know Zootopia?